US equity indexes closed moderately mixed, sp +1.9pts at 2561. The two leaders - Trans/R2K, settled higher by 0.8% and 0.5% respectively. 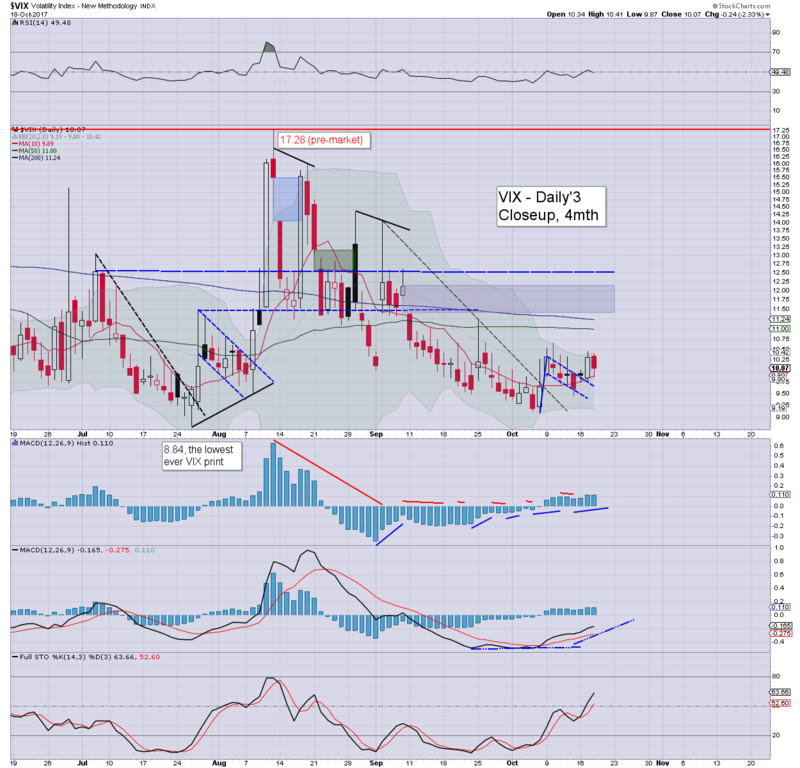 VIX settled -2.3% at 10.07. Near term outlook offers a sig' break lower, with first soft target of 2540/37. 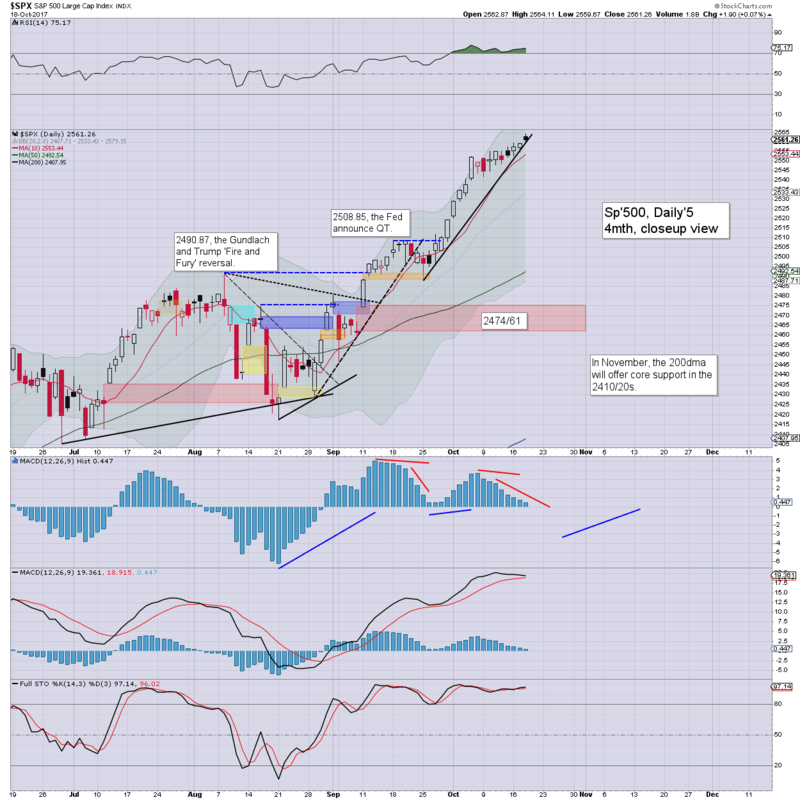 Its time for the equity bears to make an appearance. US equities opened fractionally higher, and it was enough to generate yet another quartet of new historic highs in the sp', dow, nasdaq comp', and nyse comp'. Price action was a little twitchy though, especially within some of the tech stocks. Market volatility remains very subdued, with the VIX briefly falling into the 9s today, but settling in the 10s. Near term outlook offers a long overdue cooling wave. 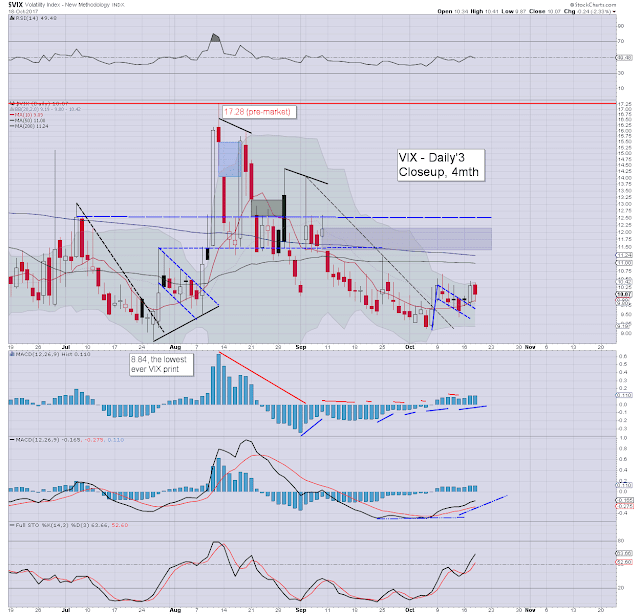 First soft target is sp'2540/37, which should equate to VIX 12s. Even then, that is not something the equity bears should get excited about right?